The Abelson Greenhouse is a 4000 square foot rooftop greenhouse occupying the 7th floor of Abelson Hall. Built in 1985, it is divided into nine independently controlled compartments used for instruction and research. One large compartment (2400 sq. ft.) houses the tropical portion of the instructional plant collection. Eight small rooms (180 sq. ft. each) are used predominantly for research. The controls were upgraded in 2007 to an Argus computerized system that allows for data collection, remote access and tight control of environmental conditions. The Eastlick Hall plant growth chamber facilities are located in rooms B97 and B91. Chambers in B97 were completed in 1999. 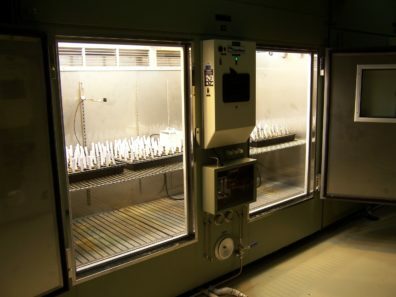 There are 23 plant growth chambers and 4 tissue culture chambers in this room consisting of 3 models of plants growth chambers that range from 9 to 36 square feet in size. The chambers are networked to a server for data collection and remote access. All chambers are remotely accessible for management and alarm purposes. These chambers operate between 5-40C. All chambers utilize HID lighting systems. Additionally, 3 chambers are equipped to elevate CO2 levels to 2500ppm. Two chambers have light canopies capable of elevating the UV light levels. All chambers have automated irrigation options. Contact Chuck Cody to check for availability. All of these chambers are networked for data collection and remote access. 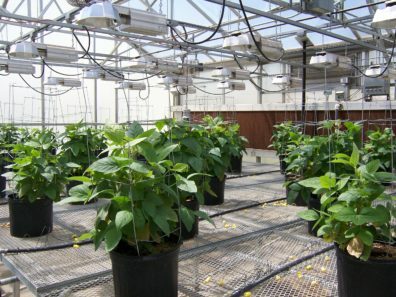 Plant growth chambers in both B97 and B91 Eastlick are part of our service center and are available for rent on a monthly basis by any researcher from any department. 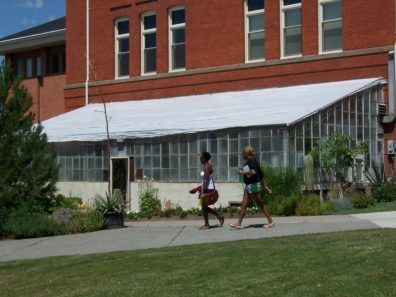 Murrow Greenhouse is the oldest greenhouse (circa 1920) on the WSU Pullman Campus. This is the original Botany greenhouse. It houses a portion of the temperate plants in the School of Biological Sciences instructional collection. The Steffen Center Greenhouse was built in 1995 and is 3000 square feet. It is located at the E.H. Steffen Center about 1.5 miles from the center of the WSU Pullman campus. It is divided into 4 independently controlled compartments that are 750 square feet each and is used predominantly for research. This facility is controlled by a Siemens 600 computer system for digital control, data collection and remote management. A 680 square foot head house for handling of plants and storage of supplies is also affiliated with this greenhouse.